The Ozark Trail Highway was a short-lived but significant cross-country transportation artery that existed in name from 1915 to 1926. It was a by-product of rapidly developing technology that created the automobile and tourism industries and enabled agricultural mechanization and the trucking industry. These began to flourish in the 1910s. In 1915 Oklahomans owned approximately 60,000 cars and trucks, and after the war, the number more than doubled. Oklahoma's highway department and the Good Roads Association promoted the improvement of motor routes, as did the federal government with its U.S. Bureau of Public Roads. The USBPR created numerous "national highways," and nine of these crossed Oklahoma. In 1913 an Arkansas tourism entrepreneur, William "Coin" Harvey, created the Ozark Trail (or Trails) Association. Its mission was to promote an improved highway from St. Louis, Missouri, to Las Vegas, Nevada, across Missouri, Kansas, and Oklahoma (it would pass through his home town, Monte Ne, Arkansas). Cyrus Avery of Tulsa helped organize an Oklahoma branch of the Ozark Trail Association (OTA) in 1914, and the group held several "national" conventions, two of which were in Oklahoma. J. A. McLaughlin, of Chandler, Oklahoma, served one year as president. The Ozark Trail Highway had several proposed routes, the important of which would pass through the Oklahoma towns of Sapulpa, Depew, Bristow, Stroud, Davenport, Chandler, Wellston, Luther, Arcadia, and Oklahoma City. Other routes would substitute Tulsa, Henryetta, Okemah, and Prague to Oklahoma City. The Sapulpa to Oklahoma City line proved the most traveled and prevailed. Often the route followed section-line roads and had a right-angle turn every mile, making for a slow, arduous journey. At first the OTA marked the route by painting telephone poles green and white; later, the association erected tall, slender, white obelisks with pyramidal tops and green directional lettering to point travelers on their way. In addition, the highway had various diversions in its route, leading to confusion. OTA also distributed a log book with turn-by-turn directions. In the years around World War I various sections were hard surfaced (with asphalt, concrete, and occasionally brick) through projects generally funded by county and local bond issues. The Federal Road Act of 1916 also provided support. In 1924 the State Highway Department added this artery to its state road system and designated it State Highway 7. After World War I the state mandated the improvement of state highways, primarily by paving, resurveying, and relocating to eliminate right-angle turns. In 1926 the U.S. Office of Public Roads redesignated most of the Ozark Trail Highway as U.S. Highway 66, which extended from Chicago, Illinois, to Los Angeles, California. The Ozark Trail Highway portion was included, but its seminal importance soon faded from memory, overshadowed by the mythos of Route 66. 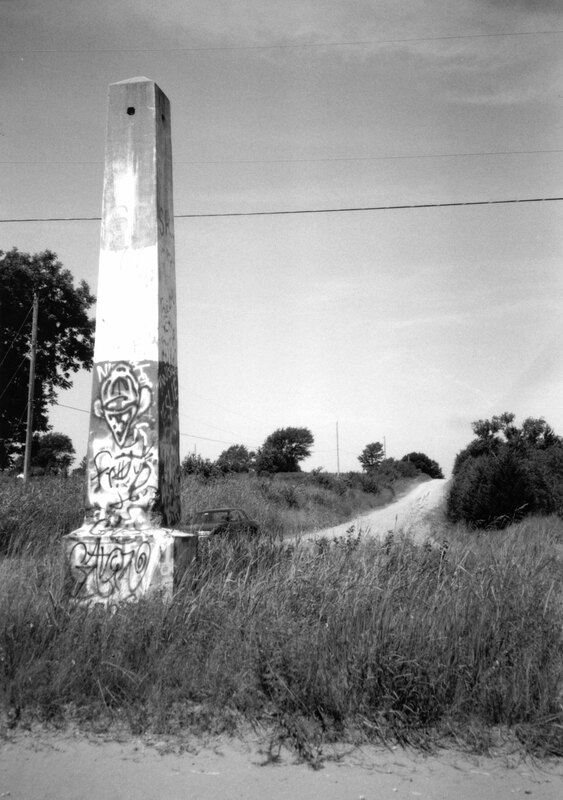 An Ozark Trail Highway obelisk marker remains on site west of Stroud in Lincoln County at the intersection of County Roads E0890 and N3540; this section is listed in the National Register of Historic Places (NR03001235). Also in Lincoln County, Davenport's Broadway Avenue, laid in brick in 1926 on the OTH route before the redesignation, is also listed in the National Register (NR 04000518). Michael Cassity, "Ozark Trails Section of Route 66," National Register Nomination, State Historic Preservation Office, Oklahoma Historical Society, Oklahoma City. Dianna Everett, "Davenport Broadway Brick Street," National Register Nomination, State Historic Preservation Office, Oklahoma Historical Society, Oklahoma City. Nan Marie Lawler, "The Ozark Trails Association," M.A. thesis, University of Arkansas, 1991. Dianna Everett, "Ozark Trail Highway," The Encyclopedia of Oklahoma History and Culture, https://www.okhistory.org/publications/enc/entry.php?entry=OZ005.